Our main activities are the establishment of companies and secretariat services. Recently, more and more clients have asked our help for the translation of the necessary documents. For this reason, we have decided to integrate this service into our offer. 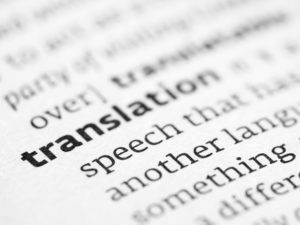 We have been working with qualified translators for years, whom we recommend to our clients with pleasure. We also recommend our services to companies who do not want to employ a secretary who speaks several languages. If your company has to perform correspondence in foreign languages, just let us take care of it, and reduce your expenses with our help, thus you can save on the monthly salary and on the costs of a permanent employee. Send us the text to be translated in an e-mail (indicating the source and target language) and we give you an offer within 24 hours.